Extend your visit to the Blue Mountains by having a look under them...actually go on a guided tour through the fabulous limestone caverns full of amazing stalagmites. Romantically and dramatically lit by hidden lights these caverns will amaze you with their beauty. 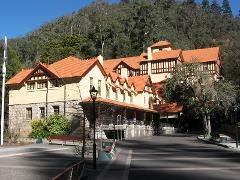 A day tour that takes you directly to the spectacular scenery of the heritage listed Blue Mountains. Tour through the magnificent Blue Mountains with it’s beautiful bush landscapes. Opportunity to go on the Scenic Railway, Scenic Cableway and Skyway at Scenic World - FJ Tours take you there (as market leaders we are the first to offer this on our Jenolan Caves Tour, Rides at own expense). 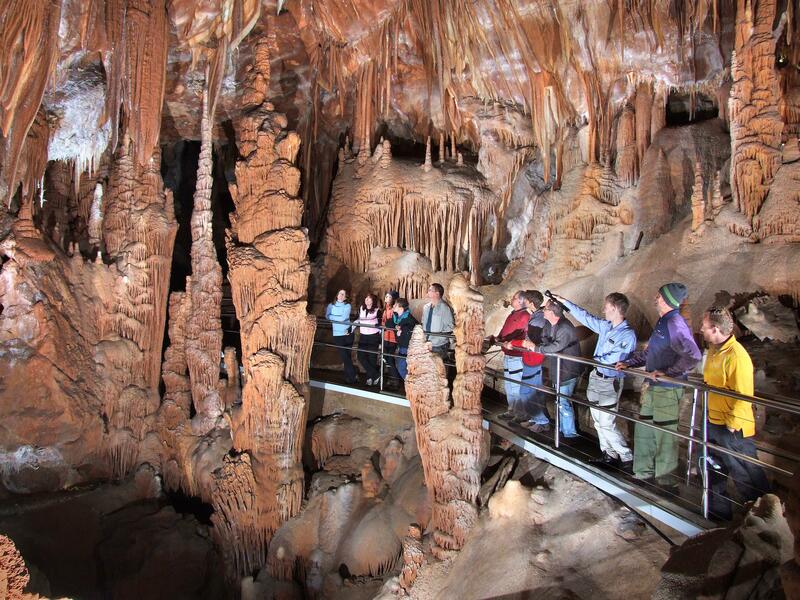 Travel to the amazing Jenolan Caves – Australia’s largest and most popular underground limestone cave system where you will enjoy a guided cave inspection. 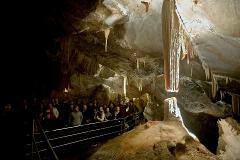 View the spectacular Grand Arch at Jenolan Caves and the unusual Blue Lake. When hunger strikes Trails licensed Bistro provides delicious light meals, snacks and drinks. (lunch at own expense). Have cameras ready for a platypus sighting. Relax as you head to Homebush Bay Wharf to board your river cruise. Enjoy the scenery of the Parramatta River finishing your tour in the heart of Sydney at Circular Quay. BACKPACKERS/STUDENTS and SENIORS please use the student or senior price at time of booking.